Mr. Singh is the President of Global Coalition Against TB. He is well respected in the international arena of TB and has been invited to speak on many international conferences on issues related to health and development from an Indian perspective. He is a respected senior political leader and his ties and influence stretch across party lines. He has been associated with the Indian National Congress for many years and is a close confidante of the senior leadership. Mr. Kalikesh Narayan Singh Deo is a Member of Parliament from Balangir in Orissa and a leader of the Biju Janata Dal. He spent his initial career working in investment banking and with the energy giant, Enron before being elected to the state legislative assembly in 2004. He won the election from the Saintala Assembly Constituency and was the youngest member of the House at the time of his election. He is currently a member of the Standing Committee on Petroleum and Natural Gas and was previously member of Committee on Commerce. He initiated the LAMP (Legislative Assistance to MPs) programme where young graduates assist MPs in legislative research work. His developmental focus remains primarily on livelihood and climate change issues. Deo was a speaker at the UN Peace Conference in Bangkok and UN HIV AIDS conference in Bali and also led a group of parliamentarians to Nepal to meet the new leadership and further bilateral relations. He is an active member of the Global Coalition Against TB and has been attending the Union Conference on Lung Health since 2013. A member of Lok Sabha, from Himachal Pradesh, Mr. Thakur succeeded his father when he was elected as Member of Parliament of India for the 14th Lok Sabha from Hamirpur constituency. He was re-elected to 15th Lok Sabha in 2009 and again in 2014 for 16th Lok Sabha. Later, Mr. Thakur was appointed the president of the All India Bharatiya Janata Yuva Morcha. He is currently, the president of the Himachal Pradesh Cricket Association and was elected as the secretary of the Board of Control for Cricket in India in 2015. Mr. Thakur is ascribed for his initiatives with NGOs to help the needy. 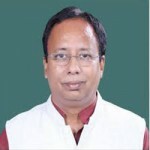 Dr. Sanjay Jaiswal is a Lok Sabha MP from Paschim Champaran in Bihar. Dr. Jaiswal is a member of the Consultative Committees of the MoHFW and the Ministry of Information & Broadcasting. He is also a member of the governing body of the Jawaharlal Institute of Postgraduate Medical Education and Research, Puducherry. Dr. Jaiswal has been a leading voice on child survival and immunization-related issues in India. He is the convener of the Political Leaders Forum on Child Survival and has spearheaded many parliamentary interventions related to child health and lifesaving vaccines. Mr. Prasada is an Indian politician from Indian National Congress. He represented Dhaurahra (Lok Sabha constituency) of district Lakhimpur Kheri, Uttar Pradesh in the 15th Lok Sabha. In 2001, he started his career with Youth Congress as a general secretary Indian Youth Congress (IYC). In 2004, he won his first election and was elected Member of the Parliament in the 14th Lok Sabha from his hometown constituency of Shahjahanpur, Uttar Pradesh. In 2004, he was the Member of Committee on Information Technology and Communications. 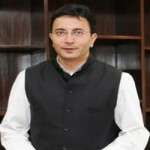 In his first tenure as Member of the Parliament, Mr. Prasada was inducted as Minister of State for Steel and was one of the youngest ministers in the Cabinet. He was the former Minister of State (MoS) for Human Resource (2012-2014). He also served as MoS, Road Transport, Highway (2011-2012), MoS Petroleum and Natural Gas (209-2011) and MoS, Steel (2008-2009). 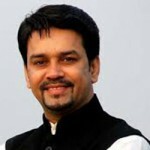 Mr. Bhubaneswar Kalita is an Indian social worker, politician and a Member of Parliament, elected from Assam. 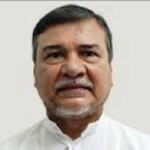 An Indian National Congress candidate (since 1972), Mr.Kalita was a lecturer and advocate prior to his political career. 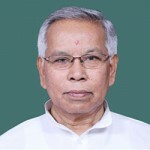 Elected to the Rajya Sabha in April 1984, the positions held by Mr. Kalita include Member of Twelfth Lok Sabha Whip, Congress Parliamentary Party, Lok Sabha, Chairman, (Committee on Petitions, Assam Legislative Assembly), Chairman of House Committee, Member of Committee on External Affairs, Member of Committee on Energy, amongst others. Apart from contributing articles to newspapers and magazines, Mr. Kalita is also associated with the development of sports in rural areas, has been the Vice President of Indian Olympic Association , the Chef-de-Mission of Indian Contingent, Commonwealth Games (2010), and worked for the exposure of national sports and sportsmen on a global arena. 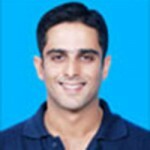 Born in 1982, Mr. Sayeed is a leader of the India National Congress Party. He was elected to the 15th Lok Sabha from Lakshwadeep in 2009, defeating P. Pookunhikoya to become the youngest Lok Sabha member. Initially a corporate lawyer with Fox Mandal & Little in Delhi, Mr. Sayeed joined politics in 2005. He has primarily focused on drawing national attention to Lakshadweep’s concerns about climate change. Also, a delegate at the Climate Change Summit in Copenhagen, he recently spoke about the national coastline being threatened by massive sea erosion. Mr. Sayeed has represented India at the U.N. General Assembly (October 2010), witnessing the nation’s election as a non-permanent member to U.N. Security Council, and been an official member of the Hon. President’s delegation in Mauritius (2011). Mr. Rao, a leader from the Indian National Congress party, is currently a Member of Parliament representing Telengana in the Rajya Sabha. He has held public offices like Member of Central Advisory Committee for the National Cadet Corps (from 2005), Member of Committee on Chemicals and Fertilizers (2006 onwards), and party positions like Joint Secretary of Andhra Pradesh Congress Committee (1985-88), President of Andhra Pradesh Congress Committee (1988-98) and President of Andhra Pradesh Youth Congress (1979-83). In 2015, Mr. Rao, Convenor of the forum of OBC MPs, presented a memorandum to the government, seeking a separate ministry for the welfare of OBCs and constitutional powers for the National Commission for Backward Classes. 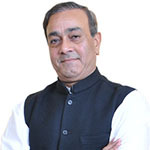 Elected in the 15th Lok Sabha, Mr. Kishore represents the Bahraich constituency of Uttar Pradesh and is a member of the Indian National Congress Party. Mr. Kishore is popular in his constituency as “Commando,” a title he bears from his days of serving prime ministers like Rajiv Gandhi, as a Black Cat Commando. Mr. Kishore, as an MP, aims at fighting for his poverty-stricken area, which also suffers from massive water shortage, fire and flood incidents. He has also spoken at length about the need for better schools and colleges, a railway line between Bahraich and Gonda and the ardent need for development that still eludes his constituency. A member of Indian National Congress, Mr. Kaypee represents Jalandhar (Lok Sabha Constituency). Elected in the 15th Lok Sabha, Mr. Kaypee has held positions like Member of Punjab Legislative Assembly, Minister of State (Sports and Youth, Govt. of Punjab), Cabinet Minister (Education, Govt. of Punjab), Cabinet Minister (Transport, Govt. of Punjab), Member of Committee on Estimates), Member of Committee on Development and Member of Committee on Food, Consumer Affairs and Public Distribution. It is said he enjoys reading books and listening to classical music. 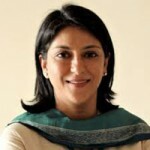 Ms. Priya Dutt was elected for the first time to the 14th Lok Sabha from Mumbai North West constituency in Maharashtra on 22 November 2005, representing the Indian National Congress Party. 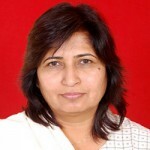 She also represented the Mumbai North Central constituency in the 15th Lok Sabha from 2009. Since her election Mrs. Dutt has been appointed secretary of the All-India Congress Committee. During and after the Mumbai riots, she worked with Muslim refugees in Mumbai. She runs the Nargis Dutt Memorial Charitable Trust (NDMCT), which was initiated by her father Sunil Dutt in memory of her mother, Nargis Dutt. Mrs Dutt has further been Trustee (Spastic Society of India), associated with Public Health Organisation to generate awareness on AIDS and drug abuse, and to promote education. She is known for her work involving Lina Ashar Foundation and the Advisory Board of Wockhardt Foundation, amongst other organizations. 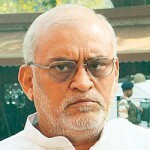 The 64-year-old Lok Sabha MP was elected from Ghaziabad of Uttar Pradesh, as a member of Indian National Congress Party. 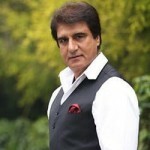 Raj Babbar entered politics by joining Janata Dal in 1989, which was led by V. P. Singh. He later joined Samajwadi Party and was elected as the Member of Parliament of India thrice. From 1994 to 1999, he was a member of Rajya Sabha. He was re-elected in the 14th Lok Sabha elections for the second term in 2004. Later he joined Indian National Congress in 2008 and was elected for fourth term as Member of Parliament in 2009. In 2014 Lok Sabha elections, he contested from Ghaziabad. He has held numerous positions like Member of Committee on Defence Member, Committee on Environment and Member of Committee on Personnel, Public Grievances, Law & Justice. Mr. Singh, one of the most popular political leaders of Punjab, is a Member of Parliament from Ludhiana parliamentary constituency. He has represented Anandpur Sahib in Punjab and was elected to the 15th Lok Sabha in the general elections of 2009. Mr. Singh is considered a member of Rahul Gandhi’s youth brigade and is also the first elected President of Youth Congress of Punjab (2008). Mr. Singh is renowned for his work for the improvement of Punjab and is continuing his work against drugs in the state. He is also acclaimed for his work in Anadpur Sahib Constituency for the welfare of people and development of the area. He has worked towards opening Punjab’s first IIT in Ropar, Tata memorial Cancer Hospital and Research Centre, as well as Medical College in Mohali. Mr. Sanjoy, belongs to the Indian National Congress and has been a popular leader for the youth of the nation. He has been the General Secretary of All Arunachal Pradesh Students Union, General Secretary of Students’ Welfare Association (Palin Chambang), President (All Nyishi Students Union), Advisor State (NSUI Arunachal Pradesh), Honorary secretary (INTUC, Arunachal Pradesh) Minister Law, Legislative and Justice Member (Govt. Assurance Committee), Member (Public Accounts Committee) and held several other posts. Mr. Sanjoy is celebrated for his work involving the compensation of package for Balipara to Tawang Road, a 300-bedded hospital to ensure the establishment of medical colleges in Arunachal Pradesh, the airport at Hollongi and different students’ movements in the north east, amongst other concerns. 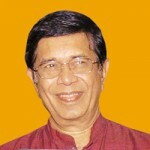 Dr. Thockchom Meinya is a member of the Lok Sabha, serving his second consecutive term currently. 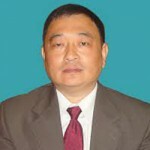 Dr. Meinya is a part of the Indian National Congress and hails from Manipur. A teacher, advocate, scientist and social worker by profession, he has held the position of Member, Legislative Assembly from 2002-2004. Dr. Meinya strives to improve the standards of primary and secondary education, research and development for higher education, popularization of science and fighting superstitions, and improving the women’s status. Dr. Meinya is also reckoned for his active participation in students’ and teachers’ movements and struggle for the territorial integrity of Manipur. Dr. Sadho is a social worker, activist and a Member of Rajya Sabha. She was elected from Madhya Pradesh, an Indian National Congress candidate, and has been the General Secretary of Indian Youth Congress, Madhya Pradesh from 1985 to 1992. She served as a member of Madhya Pradesh Legislative Assembly from 1985 to 1989 and was a member of Public Accounts Committee, Committee on Women and Child Welfare and Committee on the Welfare for SC, ST and Other Backward Classes. From 1989 to 1990, she served as a parliamentary secretary. Dr. Sadho was a member of Department of Public Health and Family Welfare and Department of Jails, Govt. of Madhya Pradesh from 1993 to 1998. She was elected to Rajya Sabha in April, 2010. She served as a member of Committee on Health and Family Welfare, Select Committee to the Prevention of Torture Bill, Committee on Papers Laid on the Table Member, Consultative Committee for the Ministry of Rural Development, Committee on Health and Family Welfare and Central Supervisory Board. 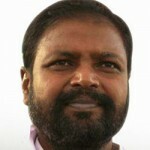 Mr. Fernandes is a senior leader of Indian National Congress and a Rajya Sabha MP, elected from Karnataka. A major decision-maker in the party, he has been the Union Cabinet Minister for Transport, Road and Highways and Labour and Employment, Government of India in UPA government. Mr. Fernandes was AICC General Secretary, the Minister of State (Independent charge) of the Ministry of Labour and Employment in Dr. Manmohan Singh’s first UPA government in India. He served as Parliamentary Secretary to Rajiv Gandhi and was elected to the 7th Lok Sabha in 1980 from Udupi constituency in Karnataka. 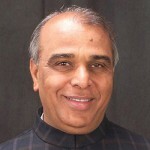 Mr. Fernandes was re-elected to the Lok Sabha in 1984, 1989, 1991 and 1996 from the same constituency. Later, he was elected to the Rajya Sabha in 1998 and re-elected in 2004. He was a Union Minister from 2004–2009, holding a number of portfolios such as Statistics and Programme Implementation, NRI Affairs, Youth and Sports Affairs and Labour and Employment. Professionally, Mr. Fernandes can described as an agriculturalist, political and social worker. Mr.Vijay, a parliamentarian representing the Bharatiya Janata Party, is also an author and a journalist. A thinker and social worker, he was the editor of the Rashtriya Swayamsevak Sangh (RSS) weekly in Hindi, Panchajanya, from 1986 to February 2008. He also writes for the Daily Pioneer. He is currently working as the director of the Dr. Syamaprasad Mookerjee Research Foundation (DSMRF). 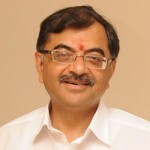 An elected member of Rajya Sabha, he is also the president of Parliamentary Group on India China Friendship, a member of Parliamentary Standing Committee on Defence Ministry and Parliamentary Consultative Committee on External Affairs, of Board of Governors, Parliamentary Network on World Bank and IMF. His published books include Saffron Surge, India Battles to Win, An Odyssey in Tibet, Yudh Abhi Baki Hai, Kargil Katha, Sindhu Gatha and several others. Mr. Jagdambika Pal, currently is a member of the Bharatiya Janata Party and had won the Indian general elections in 2014 from the Domariyaganj Lok Sabha Constituency. Of the positions he has held, a few are of Minister of State (Govt. of Uttar Pradesh), Member (Uttar Pradesh Legislative Assembly), Cabinet Minister (Govt. of Uttar Pradesh) and others. Mr. Pal has also been the office bearer of All India Bhojpur Mahotsav and was related to many cultural activities and Chairman, Surya Group of Institutions. Representing the Indian National Congress Party from Punjab in Rajya Sabha, Dr. Kumar is the former Minister for Law and Justice. He is also remembered for being erstwhile Prime Minister Manmohan Singh’s envoy to Japan. In 1991, at the age of 37 he was appointed one of the youngest Additional Solicitor General of India. More recently, he was nominated as the Chairman of the Parliamentary Standing Committee on Science and Technology, Environment and Forests (2014). He has also been nominated as Member of the General Purposes Committee of Rajya Sabha and Member of the Consultative Committee for Ministry of Defence (2015). 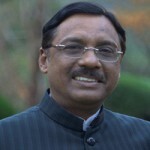 Dr. Kumar has held key ministerial portfolios in the UPA government, including that of Ministry of Law and Justice, Parliamentary Affairs, Science and Technology and Ministry of Planning. He has served as Indian National Congress party’s National Spokesperson. Dr. Kumar is an eminent legal counsel who has argued critical cases before the Supreme Court including the Bhopal Gas Tragedy case. Mr. Tulsi is a member of the Rajya Sabha and a senior advocate in the Supreme Court of India. Nominated by the Congress led UPA government in 2014, Mr. Tulsi has been the Additional Solicitor General of India, Vice Chairman of the Law Commission of India. He has published books like Tulsis Digest of Accident Claims Cases and Goswami and Tulsis Landlord & Tenant Cases, apart from over 100 articles in leading newspapers and journals. The crowning glory in his glorious career, is said to be the successful prosecution of the case on behalf of the victims of the infamous Uphaar Tragedy, wherein his tireless and dedicated efforts lasting over ten years against the combined onslaught of a big business house as well as various statutory agencies of the government, led to the victims being granted a hitherto unheard amount of compensation. 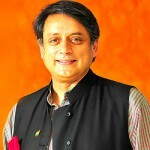 An author, politician and former international civil servant, Dr. Tharoor is currently a second-term Lok Sabha MP, representing the Thiruvananthapuram constituency and Chairman of the Parliamentary Standing Committee on External Affairs. He has previously served as Minister of State for Human Resource Development and Minister of State for External Affairs in the Government of India. During his nearly three-decade long prior career at the United Nations, he served as a peacekeeper, refugee worker, and administrator at the highest levels, serving as Under-Secretary General during Kofi Annan’s leadership of the organisation. Dr. Tharoor is also an award-winning author of works of both fiction as well as non-fiction. Mr. Yechury is the fifth General Secretary of the Communist Party of India – Marxist (CPI-M). He is a member of Rajya Sabha (the Upper House of the Parliament) at the moment. 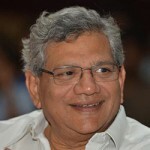 Mr. Yechury is the parliamentary group leader of the CPI-M and a politburo member of the party. He is a celebrated columnist, an economist and a social worker. He is a noted writer and columnist, who writes a newspaper column for the widely read daily Hindustan Times. His column is published every fortnight by the title Left Hand Drive. He has written a number of books as well including Caste and Class in Indian Politics Today, Socialism in a Changing World and others. A politician of the All India Trinamool Congress party, and current Member of Parliament in the Lower House representing Barrackpore, West Bengal, Mr. Trivedi was the former Union Minister of Railways and the erstwhile Union Minister of State for Health and Family Welfare. He is also the Chairman of the Indo-European Union Parliamentary Forum (IEUPF), and other Parliamentary Forums. He was a member of the Upper House in the Parliament between 1990 and 1996 from Gujarat as Janata Dal candidate and 2002 and 2008 from West Bengal as AITC candidate. In the 2009 elections he contested for the Trinamool Congress party and won from Barrackpore to join the lower house in the Parliament. 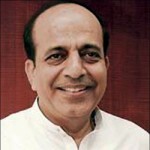 Mr. Trivedi joined the cabinet as Minister of State for Health and Family Welfare in 2009. In 2011, he offered to resign as a minister in support of Anna Hazare. In 2011, after Ms. Mamata Banerjee quit as the railway minister to become the Chief Minister of West Bengal, he was elevated as the Cabinet Minister for Railways. Dr Sanjay Singh is a leading parliamentarian from the state of Uttar Pradesh, India. 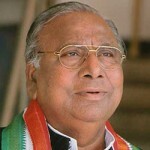 He was twice elected to the Legislative Assembly of Uttar Pradesh during the 1980s and held state ministerial posts. He has held various ministerial portfolios and committee positions over the years, including as Union Minister for Communications in 1991. In 1990, he became a member of the Rajya Sabha, and in 1998 he was elected to the Lok Sabha. In 2009, he was successful in obtaining a second term in that house as a member of the 15th Lok Sabha representing the Sultanpur constituency of Uttar Pradesh. 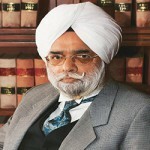 Dr. Singh has an interest in the upliftment of disadvantaged rural populations. and he founded the Rajarshi Rananjay Sinh Jan Kalyan Samiti, which operates primarily in the sphere of providing free healthcare. He holds the rank of Major (retired) in the Indian Territorial Army and also has a private pilot’s license. 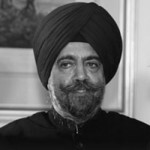 Dr. Singh has also served as the President of the Uttar Pradesh Hockey Association and of the Uttar Pradesh Football Sangh, as well as Vice-President of the All India Football Federation. 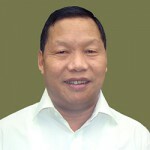 Elected from the constituency of Arunachal East, Mr. Ering belongs to the Indian National Congress and is a member in Lok Sabha. He has held other positions like Member of Arunachal Pradesh Legislative Assembly Minister of State, Member, Committee on Science & Technology, Environment & Forests, Government of Arunachal Pradesh, Deputy Speaker, Arunachal Pradesh Legislative Assembly, Union Minister of State, Minority Affairs. Mr. Ering is associated with NGOs and works specifically in sanitation and health programs. 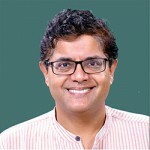 Baijayant “Jay” Panda is an Indian politician, currently serving as a Member of the Lok Sabha. Elected from the Kendrapara constituency, he belongs to the Biju Janata Dal party. Previously, he has served in the Rajya Sabha, from 2000 to 2009. During his nine years in the Rajya Sabha, Mr. Panda was a member of several important Parliamentary Committees such as Finance, Energy, Information Technology, Ethics and Government Assurances. He was also the Leader of the Parliamentary Party in Rajya Sabha for the Biju Janata Dal (BJD). 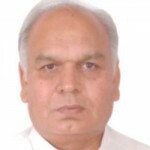 An agriculturalist, social worker, sportsman and writer, Mr Chaturvedi is a part of the Indian National Congress Party. He represents the state of Madhya Pradesh in the Rajya Sabha and is the chairman of the select committee on the Lokpal bill in Rajya sabha during the UPA II government. Mr. Chaturvedi has held numerous positions like Member (Madhya Pradesh Legislative Assembly), Deputy Minister (Government of Madhya Pradesh), Chairman, (Committee on Member of Parliament), Local Area Development Scheme Member, in the Consultative Committee for the Ministry of Railways. 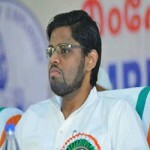 He has also been the General Secretary, All India Congress Committee (A.I.C.C.) and Member, Congress Working Committee, apart from bearing titles. Mr. Verma is a former Indian Foreign Service officer and was an adviser to the Chief Minister of Bihar, Nitish Kumar, with cabinet rank. Presently, he is the sitting member of parliament in Rajya Sabha representing Janta Dal (United). 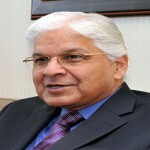 Mr. Verma has had an illustrious career as a diplomat in several countries, including New York and Moscow. He has also authored several books like When Loss is Gain, Ghalib: The Man, The Times, Havelis of Old Delhi, Krishna: The Playful Divine and others.